A new study finds an alarming number of young kids and teenagers already have the warning signs for heart disease and diabetes, Dr. Emily Senay reports. Researchers from North Carolina looked at more than 3,000 students, boys and girls between the ages of 8 and 17. The children and teens were all evaluated for a group of risk factors for heart disease and diabetes known together as metabolic syndrome - including excess weight, high blood pressure, high triglycerides, low levels of HDL or "good" cholesterol, glucose intolerance and elevated insulin levels. Doctors are already on the lookout for these warning signs in adults in order to prevent heart disease and diabetes. The idea with this study is to see if problems can be detected even earlier in kids and see how they develop. But already the researchers have discovered bad news. The results of the study were very worrying. One in four kids were overweight, and one in eight had three or more risk factors of metabolic syndrome. High levels of insulin in the blood were found in 16.1 percent of the children. High blood pressure was detected in 7.7 percent. The most common risk factor in 42.2 percent of the children was low HDL or good cholesterol. 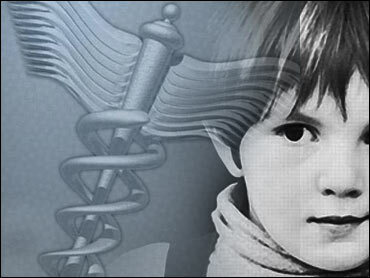 The researchers also found high triglycerides in 8.6 percent of children. The researchers point out that if there is no intervention, it's likely many of these kids will go on to develop Type 2 diabetes and heart disease. Most of the risk factors are attributed to the effects of obesity, and those kids with multiple risk factors are at much higher risk of disease later in life. In the study, 8.3 percent of children ages 8 and 9 already had three or more risk factors. Children around the onset of puberty (ages 10 to 13) had the highest rates of multiple risk factors at 16.2 percent. Eleven percent of older teens (14 to 17) had three or more risk factors. The study found the risk was higher for girls than boys. As the researchers follow the children, the goal will be to see if this kind of early screening can be useful in targeting kids for lifestyle changes like diet and exercise to avoid problems later in life. To motivate kids to be healthier, parents can set a good example. Get them away from the television. Don't let them drink too much soda. People need to be aware of the potential dangers from these risk factors and motivate their kids to increase physical activity and eat healthy foods to avoid obesity.